In the United States, accidents are the leading cause of death for teens aged 15 to 19. Many of these accidents are motor vehicle crashes. In response to this significant problem and preventable risk, every state in the nation has enacted some form of graduated license law that is designed to reduce the risks common to teen drivers. Overall, graduated license laws are effective. According to the Insurance Institute for Highway Safety (IIHS), graduated license laws have reduced car crashes involving teen drivers by about 10 to 30 percent. Limited Learner’s Permit. 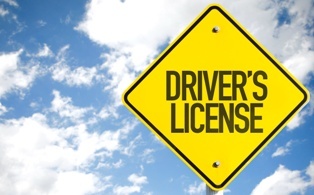 If you are between the ages of 15 and 18 and you have passed a driver’s education course and a written driving test from the North Carolina Department of Motor Vehicles, then you may obtain a limited learner’s permit. This allows you to drive with your parent or with the adult who signed your permit in the front seat. You may not drive alone or with anyone else in the front seat. For the first six months of having your limited learner’s permit you may only drive between the hours of 5 a.m. and 9 p.m.
Limited Provisional License. You can get a limited provisional license if you are between the ages of 16 and 18, if you have had a limited learner’s permit for at least 12 months, if you have not been convicted of a moving violation or seat belt infraction in the last six months, and if you pass a road test administered by the North Carolina Department of Motor Vehicles. You may drive without a supervising driver if you are going to or from work or certain volunteer positions at any time of the day. Otherwise, you may drive without a supervising adult between the hours of 5 a.m. and 9 p.m.
Full Provisional License. You can get a full provisional license if you are between the ages of 16 and 18, if you have had a limited provisional license for at least six months, and if you have not been convicted of a moving violation or seat belt infraction in the last six months. These laws are meant to prevent the distractions that come with passengers and nighttime driving and they are meant to encourage safe driving education. Model good driving behavior. Even though they would never admit it, your children are watching your driving closely and they are learning from it. Therefore, it is important to put down your cell phone, to obey all driving laws, and not to drive under the influence of alcohol. Create a driving contract. Write down your house rules for safe driving and identify clear consequences for breaking those rules. Then, both you and your child should sign it so that there is no uncertainty about what happens when the house rules are broken. Make sure your child knows what to do if an accident does occur. Encourage your child to always call 911 and to always call you immediately after a crash. Unfortunately, some car accidents will continue to happen no matter what laws are in place or how careful an individual driver is at any given time. Your child may be a victim of someone else’s negligence—just like any driver can be the victim of someone else’s negligence. When this happens, your child has the right to pursue recovery of damages. If your child is under the age of 18 then you, as the child’s parent and legal guardian, should talk to a car accident lawyer about how best to protect your child’s rights. If your child is age 18 or older, then you may help your child find the right lawyer and encourage your child to speak to the lawyer. Car accident victims in North Carolina may be able to recover damages for things like medical expenses, lost income, out-of-pocket costs, physical pain, emotional suffering, and more. Call us today, or reach out to us via this website, to learn more about your rights and your potential recovery. Additionally, we invite you to download a free copy of our book, Ten Costly Mistakes that Can Wreck Your North Carolina Case, to learn more about protecting your child’s rights.